Another day, another tweak. Cydia Community Tab brings a new tab to the Cydia installer. Here’s how you can install it on your iPhone, iPod, and iPad. Admit it, Cydia is almost ancient now and has been pending a major upgrade. Thankfully, a lot of developers still maintain Saurik’s iconic installer and introduce new features for it. 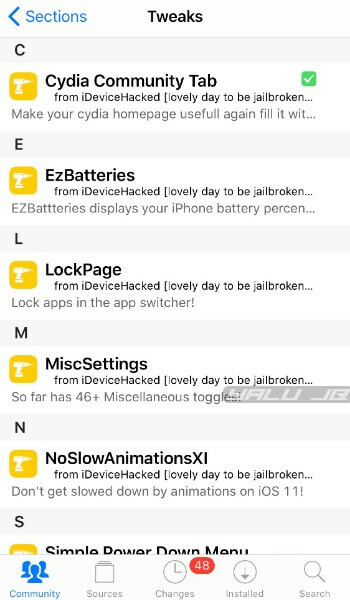 Here’s a new tweak that will really take your jailbreak experience to the next level. Cydia Community Tab adds a “community” tab to Cydia, making its homepage more useful than before. It is developed by Kush and Midnight Chips. Once you install this tweak on your Apple device, it will replace the default “Cydia” tab with the new “Community” tab. 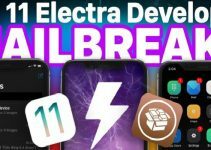 This tab comes with “Tweaks of the month” and “NewsFeed” sections that display popular tweaks of the current month as well as the latest news from the iPhone and jailbreak scene. If you want to install a tweak from the “Tweaks of the month” section, just tap on the desired package. You can also submit your own tweaks using the “Submit tweaks” button or refresh the tweaks list using the refresh button. It will now proceed to add the tweak’s source to your “Sources” section wherefrom you can install it. 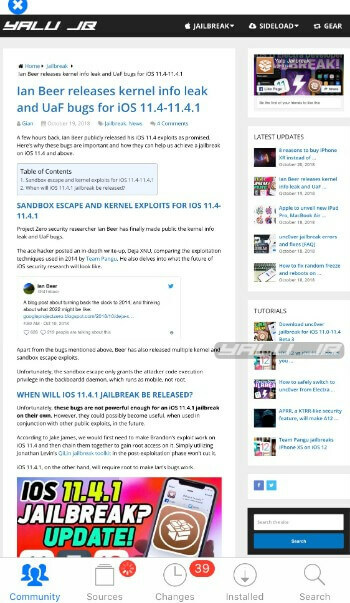 To read a news item, tap on it and wait for the website to load within Cydia. The resolution can be a bit off, so might need to use the zoom gesture on a webpage. When you are done reading, simply tap the close button present in the top-left corner of the screen. Setting this tweak up is fairly simple. Just open up the Settings app and configure its preferences as shown below. Enable DarkMode – Enables dark mode for the Community tab. 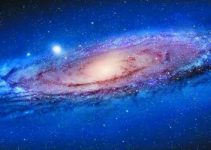 Select Website – Selects the website that will appear in the NewsFeed section. You can use the slider to set it to three different sources – iDownloadBlog, Yalu Jailbreak, and general Apple news from around the interwebs. Once you are done configuring the options, tap Apply to apply the changes. Most of us spend time tinkering with our tweaks and apps, rather than playing around with Cydia. With that being said, this does tweak does spark a new life into the otherwise dull and mundane homepage of Cydia and gives it a lively character. Further, Cydia’s default tab displayed obsolete sources and was rather useless for those using modern devices. Having it replaced with something that’s relevant to newer versions and aesthetically pleasing at the same time is definitely recommended. Cydia Community Tab is available for download on Packix and iDeviceHacked repositories. It is compatible with iOS 11 and above.